Hot pot can be eaten any way your heart desires, but believe it or not, there is a “correct” way to eat it. More accurately-speaking, there is a most-ideal method, since it is based on the time needed to cook various ingredients, and based on how to make the ideal broth throughout the meal. 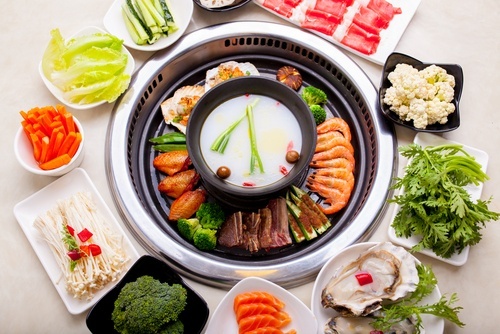 Read on to learn some essential knowledge about what hot pot is, how hot pot should be eaten, and why it is different from shabu-shabu! Hot pot 火锅 (huǒ guō) is a must-know if you want to learn about Chinese culture. Huoguo is a very communal type of food, because everyone shares out of the same pot. It is usually eaten at home with family (especially for Chinese New Year). 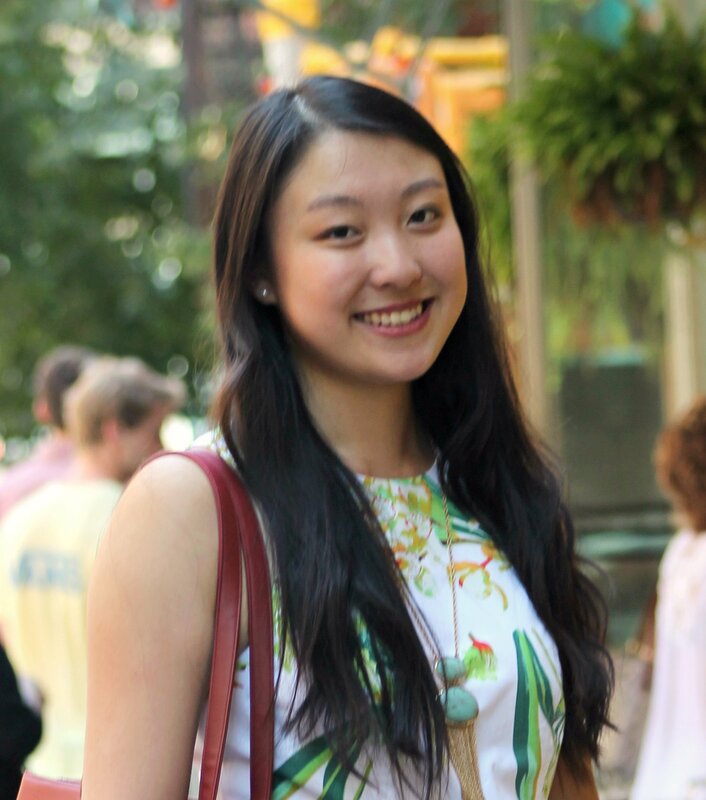 As a result, it is not uncommon for Chinese people to feel very homey or nostalgic and warm while eating hot pot; even when it’s with non-family members, like friends. 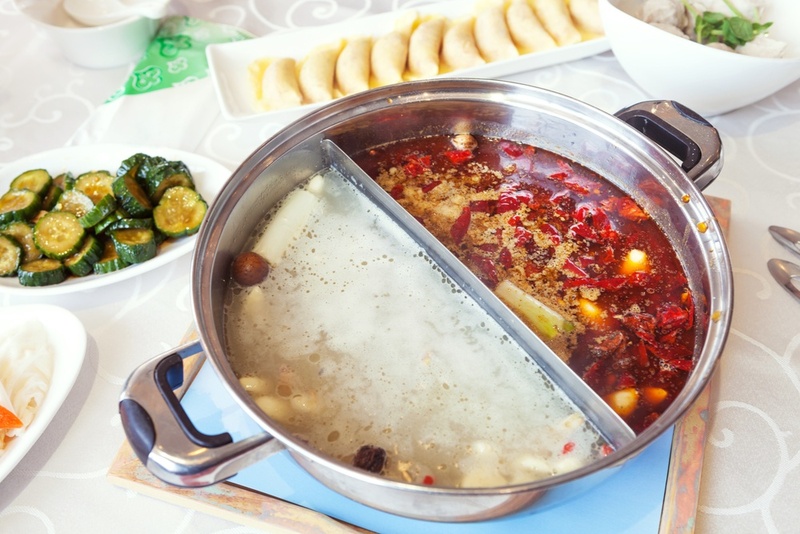 This is a type of hot pot that offers you a divided pot: one-half of the pot filled with spicy broth, and the other half filled with non-spicy broth. This gives more options and balance in flavors for your meat and soup. It’s a two-in-one deal! Everything in the name break-down above is pretty accurate for describing the hot pot—except for the “mandarin duck” part. Duck isn’t even an ingredient used for Chinese hot pot! (Maybe in other types of hot pot, but certainly not in the one we’re talking about.) Yuan yang is included in the hot pot name because yuan yang often comes in pairs—just like the way the pot comes with a pair of spicy and non-spicy broth. Rule #1: Be careful not to contaminate your utensils. Since the meat is uncooked, make sure that you designate a utensil or tong for touching raw meat. Another option is to flip your chopsticks around, so that the thick end of the chopstick is designated for raw meat, while the thin end of the chopstick is for touching cooked meat. Rule #2: There is a time and place for everything. Meat balls, tofu, mushrooms, and vegetables go in first to flavor the soup. After that comes the meat — it may be a good idea to separate the slices to speed up their cooking time. Starches like potatoes should be put in later during the meal, since it will change the broth into a thicker complexion. Seafood goes in last to prevent the soup from getting too fishy in the beginning of your meal. And finally, let’s not forget to put some in noodles near the end of the meal to soak up all the broth’s delicious goodness. Rule #3: Do NOT take the ingredients out right after you put the meat in. The raw meat can contaminate your other ingredients, so let the meat cook a decent amount before you pull out anything from the broth. Rule #4: Don’t forget the sauce. Rule #5: Make use of the strainer. It’s handy for keeping your meat separate from the other ingredients. Otherwise, you may find yourself digging up overcooked meat from the pot. Of course, if you like to treasure hunt for your food (which is part of the fun), then feel free to toss the strainer to the side and search away. It's Not the Same as Shabu-Shabu? Although hot pot and shabu-shabu seem to be the same, there are several reasons why they aren’t. First off is the origin difference: hot pot originates from China (or Mongolia—the origin is disputable), while shabu-shabu is strictly Japanese. The ingredients used are roughly the same, which is why the two are easy to confuse, but shabu-shabu will include Japanese ingredients. For example: wagyu, konbu (kelp), and udon. Also, ponzu is the commonly used sauce in shabu-shabu, which comes from Japanese cuisine. Lastly, the meat is dipped in boiling water for a shorter amount of time. Meat should be swished around in the broth, since “shabu-shabu” is the onomatopoeia for something swishing in water. Although hot pot is very common throughout East Asian cultures, you should definitely have a taste of 火锅 (huǒ guō). Give it a try and let us know what you think in the comments below. Want To Learn More? Join TutorMing!